Texas is the second biggest state in the United States in terms of landmass and population. 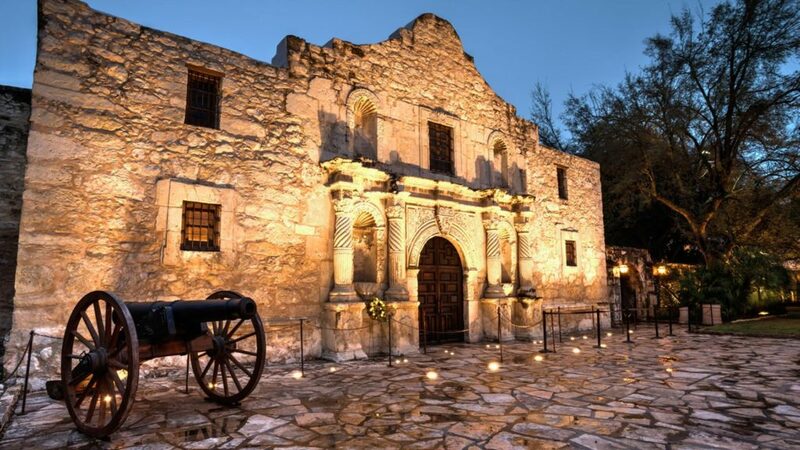 Also known as The Lone Star State, Texas is home to some vibrant tourist spots, hangouts, and must-visit destinations for people. Additionally, the place is also filled with real estate up for grabs as one of the most progressive states in the United States, living in Texas is ideal for some. One of the largest cities in the state in terms of population is Carrollton. It is situated in the Delton, Dallas and Collin counties and Texas. It is the home of 128,353 people and it remains to be one of the most populous cities in the Lone Star State. It’s a fast-growing city in the United States and as such, many people are willing to move to it to be a part of the progressive growth. However, as with most states, it’s important to get a full idea of what it means to be living in Texas first and that includes understanding its drug and substance abuse problem. The truth is, a huge portion of the United States is facing a severe drug problem and that includes Texas and its populated cities. The rampant spreading of drugs from overseas couriers to the Mexican drug cartel is certainly taking its toll on various states in the United States and as such, it’s important to understand how serious one particular area’s problem is and how it is handling it. If you live in Carrollton, and have fallen victim to substance abuse don’t hesitate to seek treatment. There are enormous resources in at your disposal. It should be no secret now but the United States is at the center of a serious drug problem that it is facing with uncertainty. In 2015 alone, there were 52,404 reported deaths caused by drug overdose. That’s not taking into account all of the drug-related issues committed by dealers, and others more. The good thing though is, Texas has one of the lower overdose rates in the country. Despite its rather low drug overdose rates, the state of Texas is facing severe pressure on the streets as illicit drug trading is affecting both individuals and the youth alike. The reason for its severe drug trading problem is that it is close to Mexico, wherein drug cartels are more than willing to export drugs into the United States. As one of the neighboring states to Mexico, Texas is one of the primary targets of the Mexican drug cartel. According to reports, there were gang members and other people linked to the Latin Kings that were accused of distributing drugs in the Austin area. All in all, there were 61 members who did their bidding. The gang members were mainly distributing some of the more deadlier drugs including cocaine and methamphetamine. Of course, it goes without saying that these gangs are responsible for various crimes including murder, extortion, home invasion, and more. The local law enforcement in Texas is doing its best to prevent more gangs and others from distributing drugs into the state but of course, it will always be hard to prevent evil people from doing their bidding. Despite the repercussions, people are still willing to spread drugs without shedding any conscience. Aside from drugs, Texans are also prone to alcoholism. Although the state is home to warm and welcoming individuals, the pressure brought on by the city life could force an individual into casual alcoholism. In some cases, these individuals go beyond casual alcoholism and turn to alcohol abuse which is not an ideal condition to have even if it is far lighter than drug abuse. The problem is not only prevalent in Texas of course as it is an issue that is faced by a huge portion of the United States. According to surveys, 52.2% of people, aged 12 and up are alcohol drinkers. Alcoholism starts at a very young age considering the results of the survey and most of the young drinkers start due to persistent peer pressure. As a whole, 16.5 million Americans are deemed heavy drinkers. Heavy drinking leads to a lot of things which include drunk driving, accidents, and many other underlying issues. In Texas, drug abuse is not as prevalent as compared to its gravity in other states. However, the national rates of Texas when it comes to alcoholism are a lot higher. In hindsight, the average for alcoholism in the aged 12 and up group was 48.2% which is slightly below the national average. A majority of secondary school students in Texas have admitted to trying alcohol at least once. Of course, the one-time affair has set them up for casual alcoholism. Heavy drinkers are situated in the older age groups though, which is a somewhat positive data. Alcoholism is a big problem of course but its effect on crime rates and accidents is far more harrowing. Intense consumption of alcohol can lead to a lot of health complications but that is not what people should be really worried about when it comes to alcoholism. Once intoxicated, people have no control over their actions and it could lead to horrifying results. In 2013, the state of Texas reported to having 1,337 drunk driving deaths. It was the highest in all of the United States. In total, 39.5 of traffic-related deaths in Texas are caused by alcoholism. When it comes to crimes related to drugs, the local law enforcement has made 99,195 arrests. The casualties and arrests caused by alcoholism have reached a whopping $6.2 billion in damages in Texas alone. With a clear understanding of the substance abuse problem in Texas, it is now time to understand how drugs and alcohol affect those who are guilty of using it. As with most states, there are a few popular and common drugs in the Texas drug scene and it’s important to know what exactly these are. It is known to many that addiction could result in negative effects on the brain and could cause behavioral problems. A person who suffers from addiction would experience changes in his or her brain chemistry that hinders a person to make right decisions. He or she is likely to experience paranoia, aggressiveness, hallucinations, impulsiveness, and he or she would lose control of his or herself. But apart from that, addiction could cause more negative effects on a person’s health and its repercussions may vary depending on the substance used. Alcohol is one of the most common drugs. In fact, one cannot find a place in the world where alcohol is not consumed. If abused, it could affect a person’s liver and result in liver disease. The liver is one of the body’s integral parts for it to survive as it gets rid of toxins in the body. Thus, if the organ is not able to perform its function well, the toxins could cause further health problems like hepatitis, liver failure, or even death. Amphetamines are a kind of stimulant that is used to treat medical conditions like ADHD (Attention Deficit Hyperactivity Disorder) and narcolepsy and it can give the feeling of euphoria. However, since it can make a person feel an intense happiness, many people, mostly teenagers, use it without medical supervision. Even so, a person who uses such stimulant drug without a proper prescription from a doctor could lead to addiction and continuous use of it without a doctor’s guide could cause heart issues. Amphetamines increase the blood pressure and heart rate thus if a person with pre-existing heart problems uses it, it could be very dangerous. For medical purposes, cocaine is used as an anesthetic before medical procedures and it also helps narrow down blood vessels to decrease the body’s swelling and bleeding. Addiction to it could cause a person’s death as it makes the arteries, as well as the veins, constrict and increases the blood pressure. As its name suggests, hallucinogens, give a person hallucinations, meaning, addiction to this could make it difficult for a person to distinguish which things or events are real and what is not. It could even make a person detached from his or her own identity. Aside from that, it makes the addicted person become anxious, panicked, and could even make a person suffer from psychosis. Marijuana is also one of the substances that could cause addiction to people who misuse it. When used for non-medical purposes and abused, it could result in negative effects in one’s memory, learning, and social behavior, as well as a person’s mood. A person addicted to inhaling marijuana also has a higher risk of having lung cancer. Methamphetamines are also a stimulant. It gives a person’s energy a boost, decreases appetite, and like amphetamines, it also gives the user euphoria. Addiction to this could cause insomnia, aggressiveness, and irritability. Besides that, a person addicted to methamphetamine is also at risk of developing psychosis as it also makes a person hallucinate. Since it affects a person’s nervous system negatively, disabling a person to make right decisions, it could also make a person suicidal after the stimulant effects of methamphetamine are gone. In addition, excessive misuse of methamphetamine also impairs the brain’s blood vessels which could cause strokes. Death can also occur due to the collapse of a person’s circulatory system when methamphetamine is extremely misused. Abusing ecstasy could make a person depressed, experience muscle aches, and unable to concentrate. And just like methamphetamines, ecstasy could also make a person lose his or her appetite. Moreover, overdosing on ecstasy could cause a person to become dehydrated that could result in muscle breakdown. Such effects could also lead to organ failures, particularly the liver and kidneys, or worst, it could lead to death. Like other drugs, heroin could also damage a person’s nervous system. It does not only slows down the brain’s chemical activity but it also causes the whole body to slow down, along with the heart rate and breathing. Such activity in the body could also cause coma and even death. Contrary to other people’s beliefs, even over-the-counter drugs can be bad for the health. OTC drugs can also be addicting, especially when a person tries to self-medicate. Cough medicines, for example, make a person hallucinate when it is used immoderately. Pain relievers, too, can damage the liver when it is abused. There are many causes as to why a person has become addicted to a substance. Some Texans might have experienced high levels of stress so they resorted to using stimulants while some may be exposed to the substance due to peer pressure or whatnot. Mental health issues and traumas also play a part in causing a person to misuse a drug. Thus, it is best that a person should know if someone he or she knows has been misusing drugs but how can one really tell if a person has been using a drug without a supervision from professional medical practitioners? A person can tell if his or her loved one is already addicted when an individual is craving for it. Craving is one of the common symptoms of drug addiction. A person who has been addicted to drugs may feel an intense craving for the substance. He or she would also not be able to function normally without the drug. When a person uses a drug for a longer period of time, he or she could become resilient to it and that indicates if a person has become addicted to it. Using drugs for pain relievers, for example, can make a person become more tolerant if he or she takes it for a long time. This, in turn, makes a person need more of the drug to attain their desired effect. Drugs, when excessively misused, could cause negative effects on the brain. As a result, an addicted person would have difficulty in making better judgments as he or she will not be able to think straight. Stimulants such as methamphetamines give a person an energy boost. That being said, one can tell if a person has been misusing drugs if he or she has become unusually talkative and the addicted person will seem as though he or she is very energetic than the usual. Also because drugs impact the nervous system, a person who has become addicted to drugs will likely look spaced out most of the time. He or she may become unusually calm or unresponsive. A drug addict can also show spikes in his or her mood. An addicted individual is also likely to struggle with mental health problems like depression and anxiety. He or she could also experience paranoia (an irrational feeling that someone is out there to get him or her). Persistent misuse of drugs could also make a person more violent. Such changes in behavior could also lead to relationship problems – be it at work, with friends, or even at home. People who have become addicted to drugs experience difficulty in sleeping. He or she is often awake or asleep at odd times. To tell that a person is intoxicated, listen to the way he or she speaks. An addict may have difficulty in speaking (slurred speech) due to the fact that the substance has already affected his or her nervous system. Drugs can either cause a person to lose or gain weight. Methamphetamines, for example, can cause a decrease in one’s appetite. If a person is excessively misusing a substance, a sudden change in his or her weight will occur. Apart from the weight, a person who abuses drugs could experience a change in his or her facial and overall appearance as well. He or she may look pale or undernourished. A person can also tell if another person is on drugs just by looking at the eye. An intoxicated person’s eyes are usually reddish and are watery. Their pupils’ sizes are also changed than normal. Also, his or her jaw is usually clenching. In addition to that, a person could also smell bad due to lack of mindfulness in his or her hygiene and overall look. Another thing to find out if a person has been addicted to drugs is the signs that show when he or she stops using the substance. Long-term usage of drugs could make a person feel strange when he or she is deprived of it. An addicted person may experience tremors, may feel depressed or sick, may sweat unusually, or may experience a headache. Excessive misuse of substance could also cause a person to have fever or seizures. He or she may feel confused as well when suddenly deprived of the substance. It should be no surprise now but substance abuse can be a life-disrupting issue. Carrollton and its local governing body is doing its best to help remediate the substance abuse issue in The Lone Star State but not every case can be fixed with the help of the police force. As drug and crime syndicates continue to spread their drugs on the streets, the state of Texas won’t be free from facing these troubles. What’s worth noting though is that country is also open to tackling the issue in more ways than one. Other than cracking down on cartels and users, the state of Texas and its cities like Carrollton are also open to helping out individuals who have accepted the fact that they are abusing one particular substance and that they are looking to get themselves fixed. Seeing its problem with drug and alcohol abuse, countless professionals and companies have taken it upon themselves to help individuals get through their issues through treatments. Situated across cities like Carrollton are countless top-of-the-line treatment facilities that make use of modern techniques and facilities to help cure an individual of his addiction to any drugs or alcohol. To begin with, treatment facilities in Carrollton and in other cities and Texas are breathtakingly beautiful. Each facility is created to coincide with the lush atmosphere of The Lone Star State and the end product is a relaxing take on treatment facilities that help patients get through their conditions with ease. Most of these treatment facilities mix psychological and medical techniques to rid individuals of the substance in their systems. When it comes to psychological treatments, doctors use an array of techniques and practices to first help an individual cope with his condition through acceptance. Through this process, individuals are also given techniques to help them control their urges. This psychological treatment comes in various forms and some facilities even opt to enroll their patients in extreme but safe activities including wall climbing, mountain trekking, and more. In doing so, patients are able to forget about their urges for drugs. At the same time, they’ll be accompanied in their journey by people they can relate too. As for medical treatments, facilities in Texas make use of top-notch detoxification techniques and pills to cleanse an individual’s system of the substance they are commonly using. By doing this, patients are able to completely rid themselves of their urges for the drug or even alcohol. The detoxification process commonly incurs withdrawal symptoms in a patient but the good thing is, the doctors will help these individuals go through the process through prescription drugs and other techniques. These treatment facilities offer both inpatient and outpatient programs that cater to all individual’s needs. Both programs offer high success rates and it all depends on the preference of the individual in what he wants to go through. However, inpatient programs are always better as those handling the patient are able to keep a close eye on their patient at all times. The state of Texas may be under constant pressure from the neighboring drug cartel and the increasing alcoholism rates but the state is handling the stress in the best way that it can. Through the top-of-the-line treatment facilities that it has, the state of Texas is able to help its citizens cope with their issues and problems through treatment and by directing them towards a path to recovery.